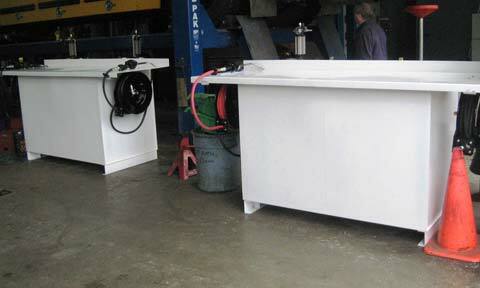 Custom built portable or stationary lube storage and transfer systems. Ideal for mine sites, maintenance shops and remote locations. Packages include mobile trailers, stationary bench tanks, lube enclosures c/w oilfield skid style assemblies, dispensing equipment, containment and drip trays, and cold climate heating systems. Options can also include meters, pneumatic pumps, grease pumps, hose reels, oil extractors, poly tote tanks, bulk transfer pumps, pre-lube filter units. 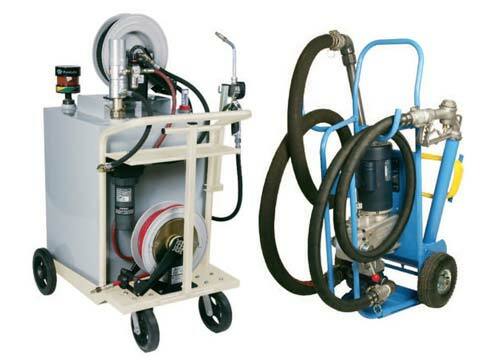 Thermex Lube Transfer systems offer incredibly modular design, and are customizable to the needs of your workforce or fleet. Our mobile trailers can be towed easily around a jobsite to quickly service your heavy machinery, or enclosed for a stationary stand-alone lubrication station. 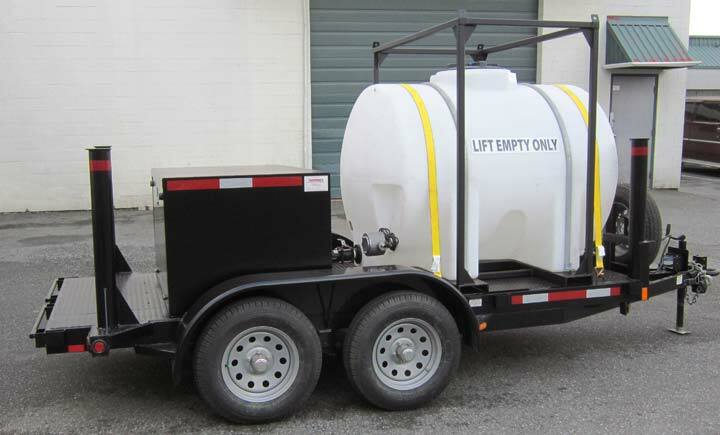 Our stationary bench lubrication tanks can be outfitted for garage maintenance use, and can include any number of additional accessories, grease pumps etc.